This upright but spreading tree has an abundance of white flowers in the spring that mature into delicious juicy apples in October. 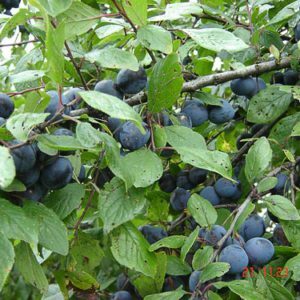 The M26 rootstock that this fruit tree is grown on grows to around 9-10 feet eventual height which is plenty big enough to have a great crop while still being able to harvest the fruit. This tree is a group C which needs a similar flowering period tree to successfully pollinate, we do also have Cox’s self fertile if you only wish to have one tree.